I’ve been trying to figure out what to do with this wall. I really didn’t want to put a big picture there because it leaves too much open space. 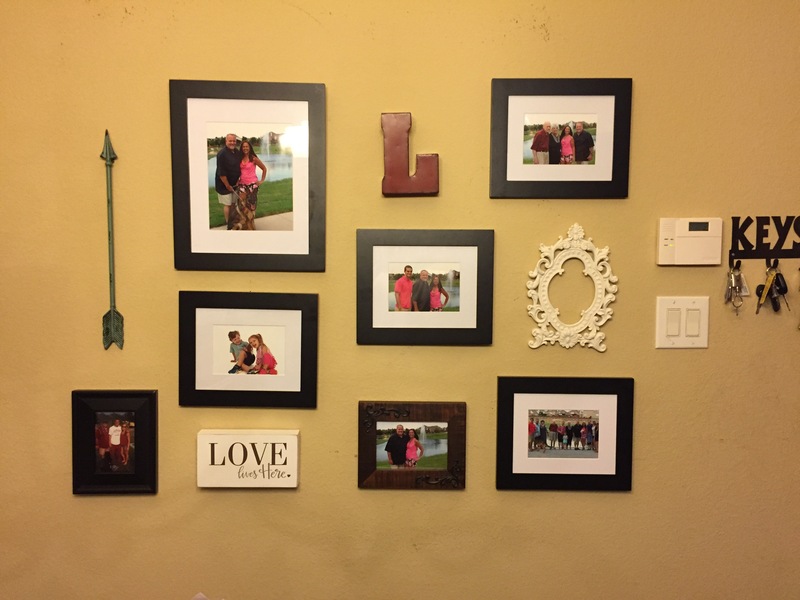 I decided to do a picture wall. This is almost finished. I’ve since added two more pictures to the left, but I need one more for the bottom row, so they aren’t included in this picture. I’m pretty happy with how it turned out though.